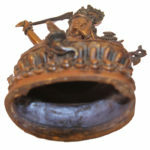 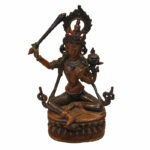 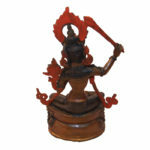 Manjusri or Manju Shree is a male bodhisattva associated with transcendent wisdom. The Sanskrit name Manjusri can be translated as "Gentle Glory". 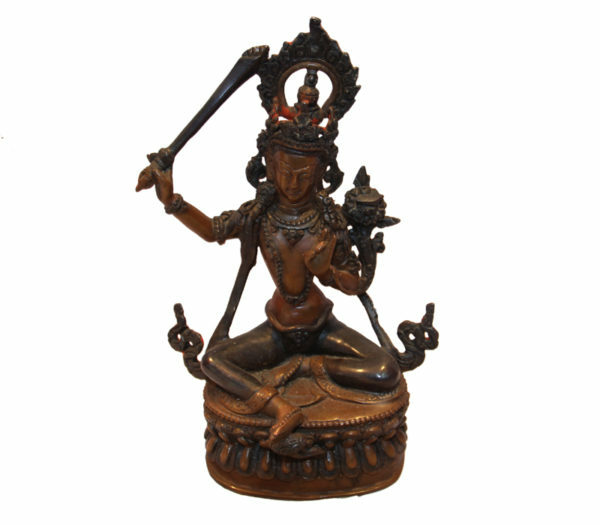 The statue here features Manju Shree wielding a sword in his right hand which represents cutting down ignorance and duality. 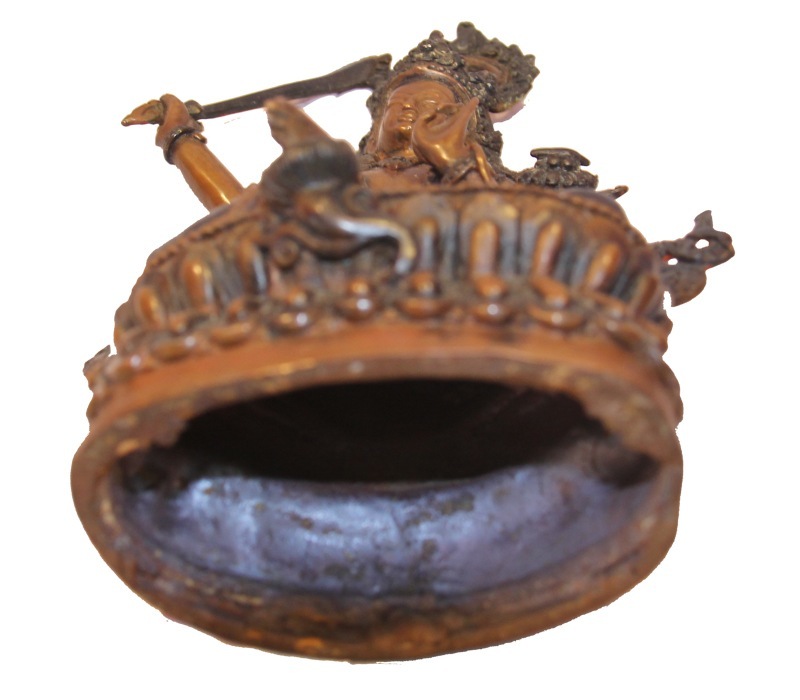 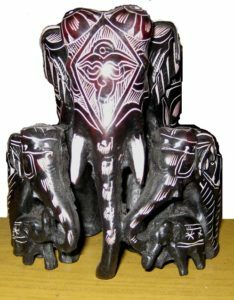 The "meditational deity" as he is also known, wears a crown, necklaces and a robe down the chest. 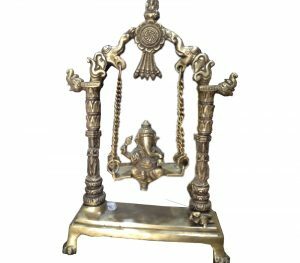 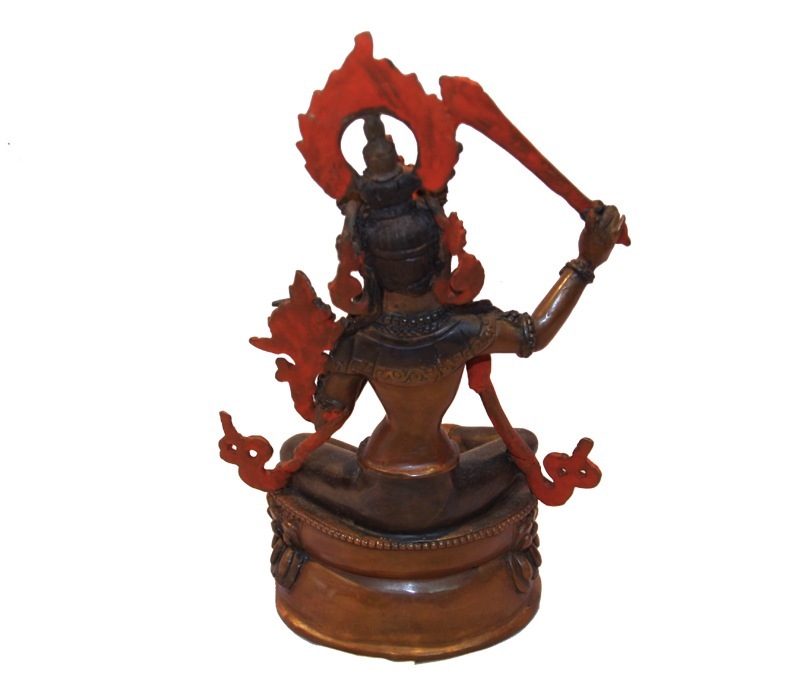 The copper statue weighs 500 gram and makes for a remarkable display in brown in homes and personal offices. 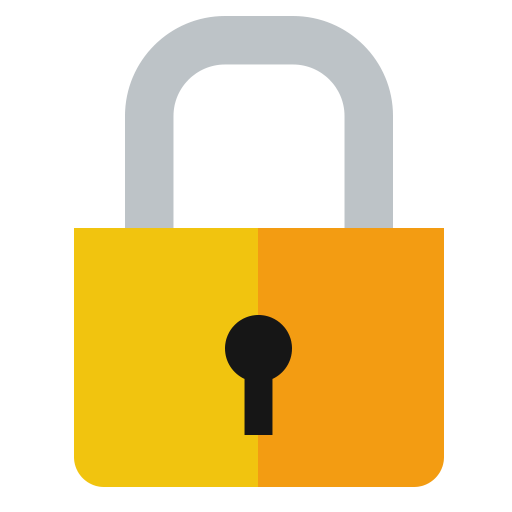 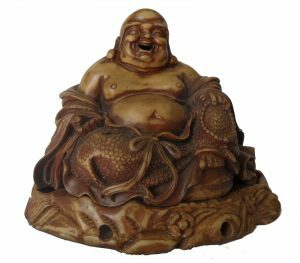 It is also perfect to be gifted to followers of Buddhism or those interested in meditation, yoga and other spiritual subjects.